I’ve been posting a lot of food on this blog… which was not originally what it was intended for. So I started another blog which will only be food related: Transforming Eating. This blog will be related to crafty things like knitting (hence connect the knots), sewing, and upcycling. Speaking of upcycling… sometimes I think dumpster diving would be a good idea, but of course, I never do it. 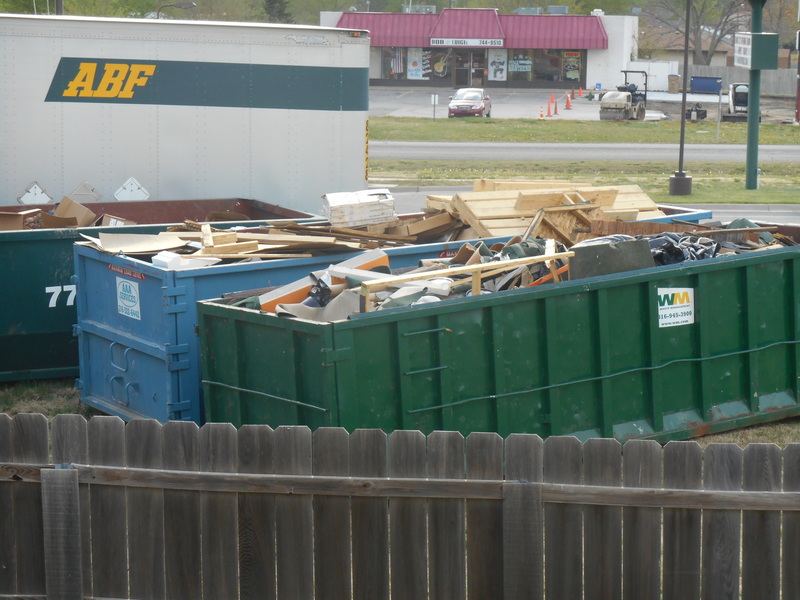 There’s a family video right outside our house that is adding a pizza place, so there are three big dumpsters that look like they’ve got some pretty good stuff in it – mostly wood that could be recycled. I don’t have any woodworking tools though. Yet another reason why I don’t go dumpster diving.